Majority rule is no longer the best way to run a board meeting. Randall Peterson writes in his article ‘It’s Time to vote Majority Rule off the Company Board’ (click on the link to read) mounts the case that the simple majority potentially makes a worse decision when they ignore the views of people appointed to the board because of their specialized knowledge. With more directors being appointed because of their specialist as well as general knowledge, boards need to ensure they are listening to those view. For example, as Peterson notes, “majority-rule voting actually fails when the will of the majority is used to silence legitimate and specialist minority voices. What is right for the many ought to prevail, but not at the expense of the rights and specialist knowledge of a minority.” A healthy board culture exists where such a minority director can challenge their boardroom colleagues, and be given a fair hearing. Peterson makes the distinction between a suboptimal decision, and a decision that the board member believes to be totally wrong. The expression used is to develop qualified consensus. This occurs when a majority are in favor, and no one believes the decision is fundamentally wrong. Get the right team on the board and prioritize their learning – that is, specialist directors have a role in teaching and advising fellow directors, not making decisions solo. Openly share information to create understanding of the problem – that is, before suggestion solution, work out what you do and don’t know about the problem. 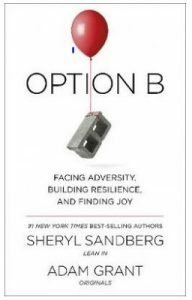 This is a very quick summary of a very challenging idea – one whose time has probably come – in changing the culture of boards to better utilize the specialist knowledge it contains. If you would like assistance with your board, contact Avondale Business School (ABS) at abs@avondale.edu.au. The Avondale Business School celebrated the completion of their innovative research project with the business Professional Advantage, by way of sharing a lunch in the Smart Hub premises. Professional Advantage is an Australian IT consulting company, with its head office in North Sydney. They have been using the Avondale Business School “Smart hub” to avoid the up to 3 hours a day commute to their North Sydney Offices. 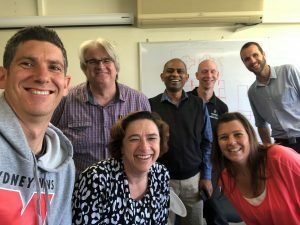 The Avondale Business School has been involved in a research project with Professional Advantage, researching the benefits of the use of a smart hub, embedded in a business school. The reciprocal advantages for ABS has been the exposure for students to a real live business operating here at the ABS. Students have had the opportunity to see the employees at work and to ask questions about their IT consulting roles. The ABS secured a grant for their research project “Remote Business Hubs embedded in Higher Education Institutions: Stakeholder Engagement of Business, Educators in Business and Business Students” from the Avondale College Lifestyle Research Centre, and they hope to publish from their research to encourage more businesses to consider the benefits of remote smart hubs to create a better “Work/Life” balance for employees. The ABS team understands the values of relationships with stakeholders, and the importance of networking. This was validated to our 2nd and 3rd year cohorts of students by encouraging them to attend our two excursions held in Semester 1, 2018. The first one was to “Professional Advantage” an IT company based in North Sydney (https://www.pa.com.au). Run by Avondale Alumni Derek Rippingale, the firm gave their time to give students a tour of the three story building, and the opportunity to talk to staff about their career journey, and how many of them literally fell into positions due to people they knew or networks like “LinkedIn”. Students were then given the opportunity to reflect on the importance of CVs, and some even put their own CVs up for analysis by the group to seek improvement. The lesson here was if you only had 10 seconds to review a CV, what would you really see? They were then briefed on the importance of choosing the right staff with the right cultural fit. They also directed students to their blog for further information https://blog.pa.com.au/business-intelligence/power-bi-to-the-people/. Feedback from the day was overall that students enjoyed visiting a real life business, talking to real employees and finding out how to improve their CVs to get past the 10 second rule. The second excursion was two fold, firstly it involved a tour of the Palmdale Group (https://www.palmdalegroup.com.au/) facility at Ourimbah, including the grounds, the Chapels and the crematorium. Students were given the opportunity to ask staff questions regarding the industry, potential growth, challenges that lie ahead and were treated to morning tea in the new café, an identified growth area of the business. 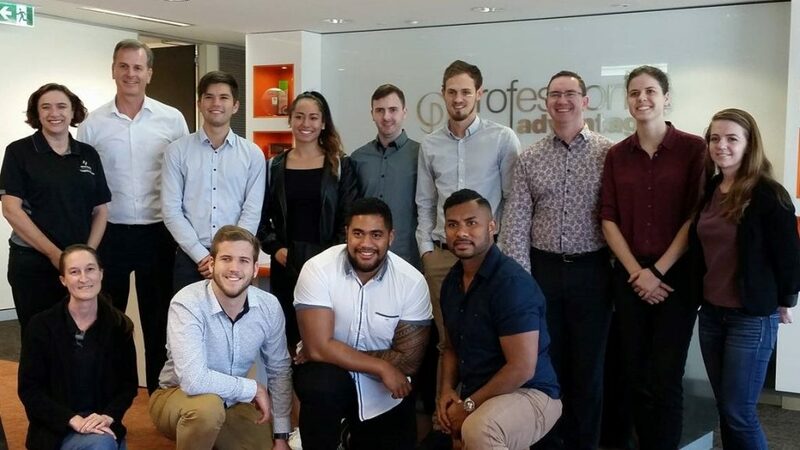 Part 2 of the excursion was a visit to Life Health Foods, (https://www.lhf.net.au/) where the CEO Dean Epps gave a presentation of the growth of the firm over its 3 years since its inception. Students were then given a tour of the factory, and were given a taste of the products along with a presentation done by marketing in terms of future growth within the plant based food industry. Students enjoyed the variety of businesses that they visited and especially the behind the scenes tours. 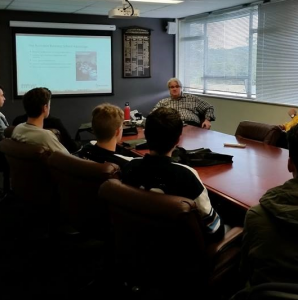 Some students were interested in potential internship programs offered by the businesses, in the hope they would gain some real world job experience before they graduate. Finally the Life Health Foods HR manager gave a talk on the importance of engagement on your resume, showing that by going above and beyond the norm, will put you in front of other graduates, thereby confirming stakeholder engagement and networking can help students in their quest of the importance of being earners. Another enriching student experience provided by Avondale Business School. Avondale Business School hosted some students from various Adventist high schools around New South Wales. The students were attending the Futures Day at Avondale College, which is our Open Day, where high school students have the opportunity to come and visit our College campus and gain some information into the courses that we offer. The students who visited ABS were hosted by Warrick Long, one of our lecturing staff, who shared with the students the opportunities and the experiences they will gain through studying Business with ABS, in particular Warrick highlighted the opportunity to gain practical work based experience and that the ABS lecturing staff take a personal interest in the development of all students. The students left with new insights about the Bachelor of Business Degree, the depth of experience of the ABS staff and the potential for them to gain a head start in their business careers. They also took away one of the prized ABS promotional pens! ABS hopes that the students will choose Avondale Campus for their future studies and look forward to seeing them again. 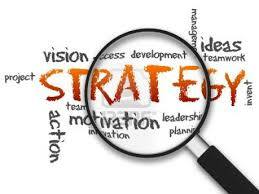 What contributes the most to making good competitive-strategy decisions – Education? 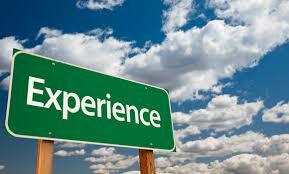 Experience? Outsiders with new ideas? 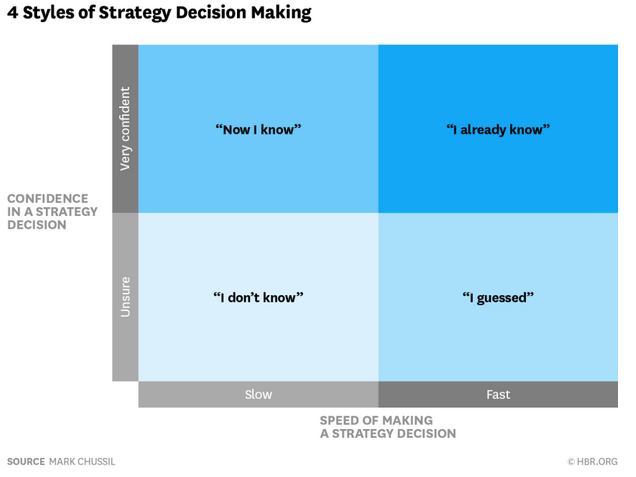 Mark Chussil, in a recent HBR Online article (read it here) shares some findings from data he has collected based on competitive-strategy decisions. Chussil’s experience indicates that those in the best performing group are the “I don’t knows”. These are the people who take their time and consider alternatives before launching into making their decision. This is opposed to those who “Already know”, and are overconfident, not really looking for other solutions, because they “already know” the answer. Close behind this group are the “Now I knows”, who have a high degree of confidence following pondering the issue for a time. The lesson that Chussil draws out is to take a “not so fast” approach and really consider alternatives before committing to action. Seven years after the Global Financial Crisis took place, the flow on effects have meant that teenage boys and young men in the labour market today are more likely to be unemployed. Research by the Brotherhood of St Laurence has released findings suggesting young men and women face different impacts from the GFC. Young women are more likely to be underemployed, working some hours but wanting to work more, and young men more likely to be unemployed. One significant challenge the two sexes face is that employers are demanding more skills and experience than ever before from Australia’s emerging generation. 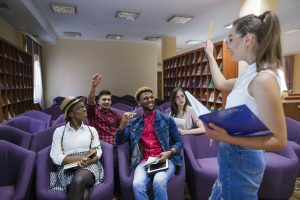 “Young people lacking experience must negotiate a modern economy that is rapidly shifting to a knowledge and service base, striving to be internationally competitive and demanding more than ever of all its employees – including its new entrants,” The Brotherhoods Executive Director, Tony Nicholson said. The report found that overall young jobseekers had been under “intense pressure” in their hunt for work, and as of August 2015, nearly 290,000 young people were entirely out of work across the country. That figure is more than 50 per cent above, or 100,000 more people, than at the start of the GFC in 2008. The Brotherhood analysed the Australian Bureau of Statistics trend data and found that at 14.6 per cent the unemployment rate for young men was 2 per cent higher than for young women. A number of recommendations have been put forward as to how to deal with the issue, including targeted funding of education programs under a ‘needs based’ funding model, which recognizes that those facing educational disadvantage may require additional assistance.